Click on the Washington Tripomatic tourist map for an enlarged view. The map indicates the hotel location and major tourist attractions close by. Some of the exhibits, notably the White House (image credit: CC-BY-SA-3.0/Matt H. Wade at Wikipedia) just north of the Mall and the US Capitol, require advanced reservation. Others, such as the Washington Monument and the US Holocaust Memorial Museum, require tickets either in advance or on a first come first served basis. The National Mall is an open park in downtown Washington, DC that spans the area between the Lincoln Memorial and the United States Capitol building. Many prominent monuments and museums are on or near the Mall. 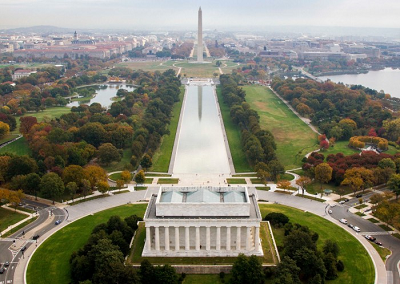 For example, the Washington Monument is situated near the center of the Mall. It was built in honor of George Washington, who was first President of the United States of America, and is topped by an apex that was once the largest piece of cast aluminum in the world. Several memorials, including the National World War II Memorial, the Korean War Veterans Memorial, and the Vietnam Veterans Memorial, are located on the Mall. 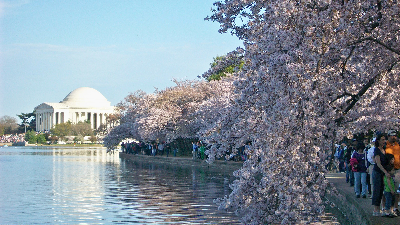 The Tidal Basin, around which are the Franklin Delano Roosevelt Memorial, the Jefferson Memorial, the Martin Luther King, Jr. Memorial, and the District of Columbia War Memorial, is just south of the Mall. A list of national historical sites is available at the National Park Service Website. The Smithsonian Institution is an educational foundation chartered by Congress in 1846 that maintains most of the nation's official museums and galleries in Washington, DC, and many of these are also along the National Mall. 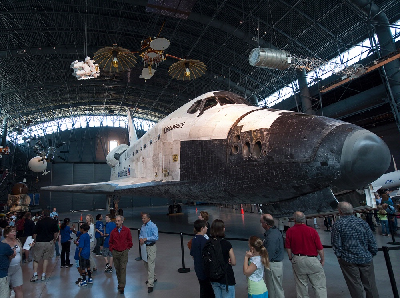 Since the Smithsonian is funded in part by the US Government, its museums are open to the public free of charge. One of the Smithsonian museums located on the Mall is the National Air and Space Museum (NASM), which has the largest collection of historic air and spacecraft in the world and houses many artifacts intimately tied to control.The NASM Udvar-Hazy Center is the new home of the Shuttle Discovery and an SR-71 Blackbird. 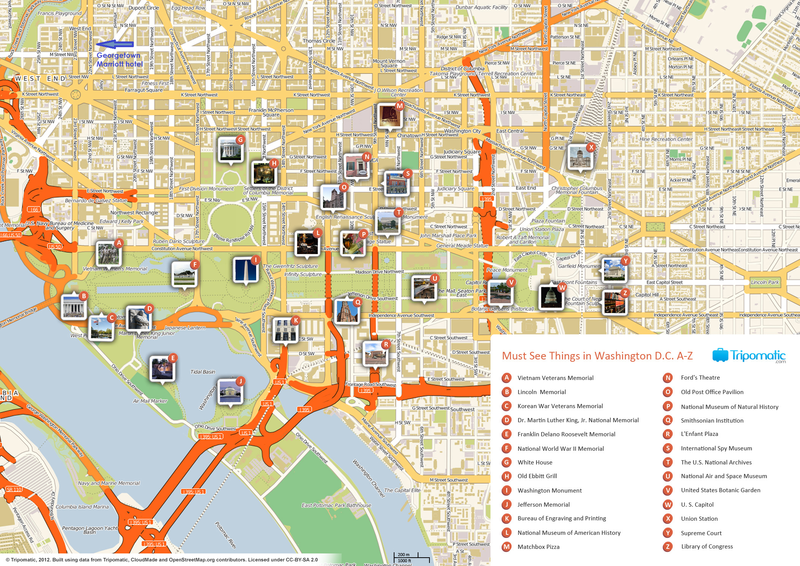 There are more than a dozen other Smithsonian museums on and near the National Mall. These include the National Museum of Natural History, the National Museum of African Art, the National Museum of American History which houses one of the largest collections of flyball governors on the planet, as well as Stanley, the autonomous vehicle that won the original DARPA Grand Challenge, and the restored Star Spangled Banner that inspired America's National Anthem, the National Museum of the American Indian, the Hirshhorn Museum and Sculpture Garden, the Arts and Industries Building, and the Smithsonian Institution Building. Nearby are the Smithsonian American Art Museum and the National Portrait Gallery, both of which are located in the Donald W. Reynolds Center, near Chinatown. The National Zoo, which is a metro subway ride away in Woodley Park, is also part of the Smithsonian. See the Smithsonian Website for additional details. 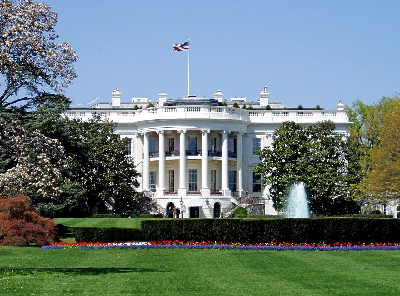 There are many other museums throughout Washington, DC. The National Gallery of Art is also located on the National Mall and while its collections are owned by the US government, it is not part of the Smithsonian Institution. Selected other museums include the International Spy Museum, and the US Holocaust Memorial Museum located near the Washington Monument. Washington, DC is a center for the arts. For example, the John F. Kennedy Center for the Performing Arts on the Potomac River hosts the National Symphony Orchestra, the Washington National Opera, and the Washington Ballet. It presents great performers and performances from around the world. 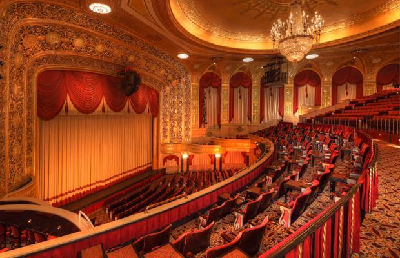 In addition, the National Theatre, Warner Theater, and the historic Ford's Theatre are all located in downtown Washington, DC.